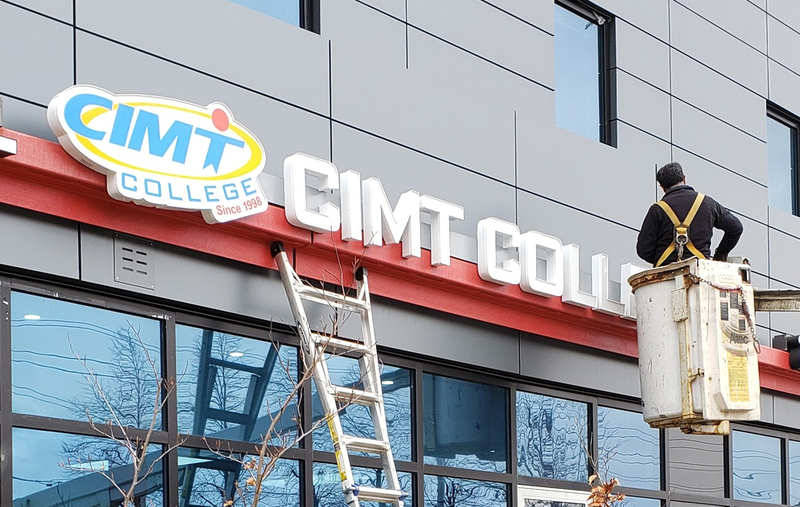 CIMT College is growing again! We are thrilled to announce the Grand Expansion of our Mississauga Campus, in Ontario, Canada! Our new and expanded campus is located at 250 Dundas Street West, Suite 105, Mississauga. The Mississauga Campus is offering more programs than ever before in Healthcare, Technology, Business, Accounting, Language, and even pre-med training for those wishing to study to become medical doctors. Our new campus has twice as many classrooms on two floors with new and upgraded computer systems and seating, so we are able to offer opportunities in more fields and industries than ever before. Our focus is always on greater success for our students’ future employment. Your Career is our middle name! And we take our student success seriously. There is plenty of free parking, and our new facility is wheel-chair accessible. Ask about our partnership with the Coalition for Persons with Disabilities. We also have new funding available, through CSAP, for those who need some financial aid to subsidize or pay for their studies while in school. Your Admissions Advisor can coordinate your appointments to find out about that special new funding. Ask your Admissions Advisor at any of our campuses, including our newly opened Mississauga Campus, for a current list of programs, courses, and training opportunities. You can also check out our new videos on our website at www.cimtcollege.com, which show our amazing instructors talking about their exciting programs, first-hand. Our new Mississauga Campus Manager, Manju, is excited to welcome you to her campus. And the Admissions Advisors, Ruba and Shonal, can’t wait to show off the new facility to you! Feel free to pop into the campus to take a FREE Campus Tour and find out what we have to offer! We even have an Open House every Wednesday with balloons! Everyone is welcome!